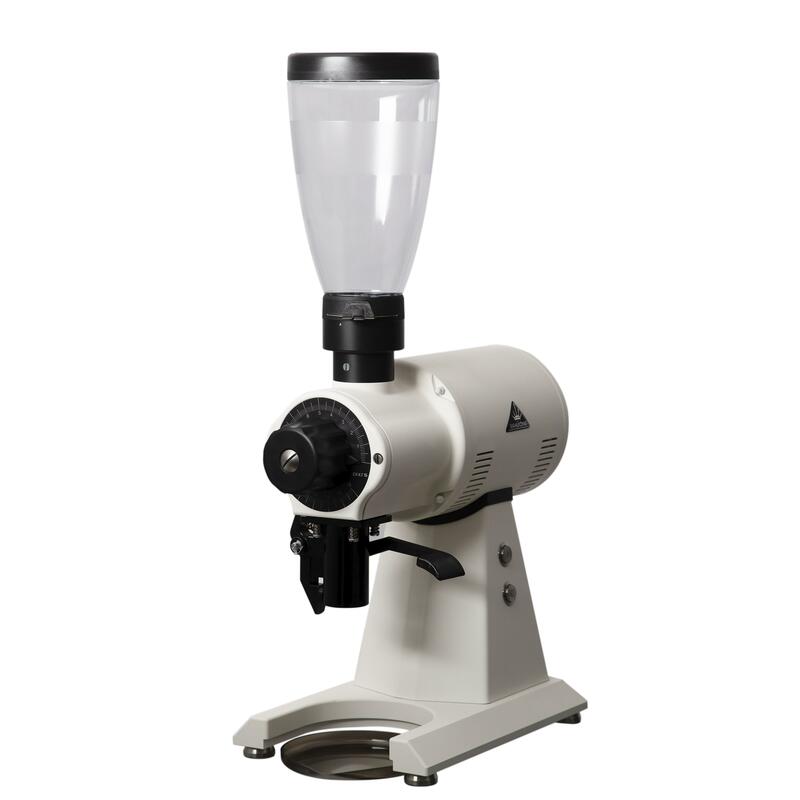 Legendary EK43 performance in a more compact package; this powerful and bold grinder with high grinding capacity and quality. 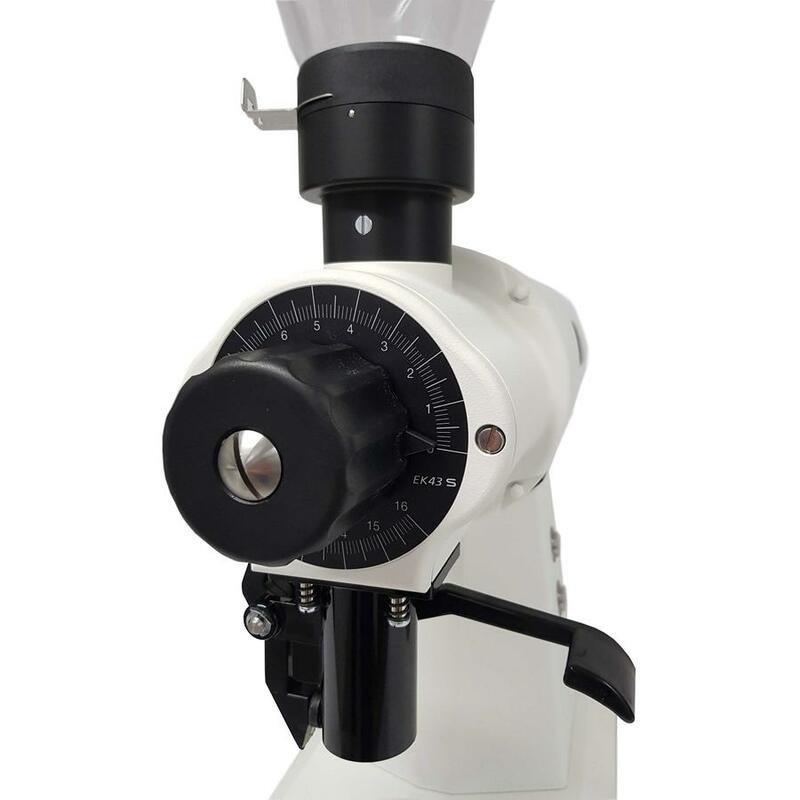 Since 2013, the coffee industry has lauded the Mahlkonig EK43 as a game-changer of a coffee grinder, known for its superb particle uniformity and high extraction potential without running into bitterness. Now, the EK43 S is here to make the game-changer even easier to fit into your bar workflow, not to mention easier to fit under your cabinets or shelves. Inside is the same power and performance you'd expect from an EK43 - the 98 mm cast steel burrs, the 1.75 horsepower motor, the familiar stepless grind adjustment dial are all the same as the base EK43. Even the optimizations that were introduced in early 2018 are all here: a new stainless steel shear plate designed to stand up better to short-burst use for small doses, a redesigned aluminum burr holder with a new pre-breaker, plus new on/off buttons with a much higher push count rating than before. The most notable change is the most obvious, which is that the EK43 S is about 4 inches shorter. This was a highly requested change for the grinder, with so many cafes using the EK43 for smaller doses for batch brew, manual pour over, espresso, or even just retail bags, rather than full 5 lb hoppers. The reduced height brings the EK43S down to about 27 inches. 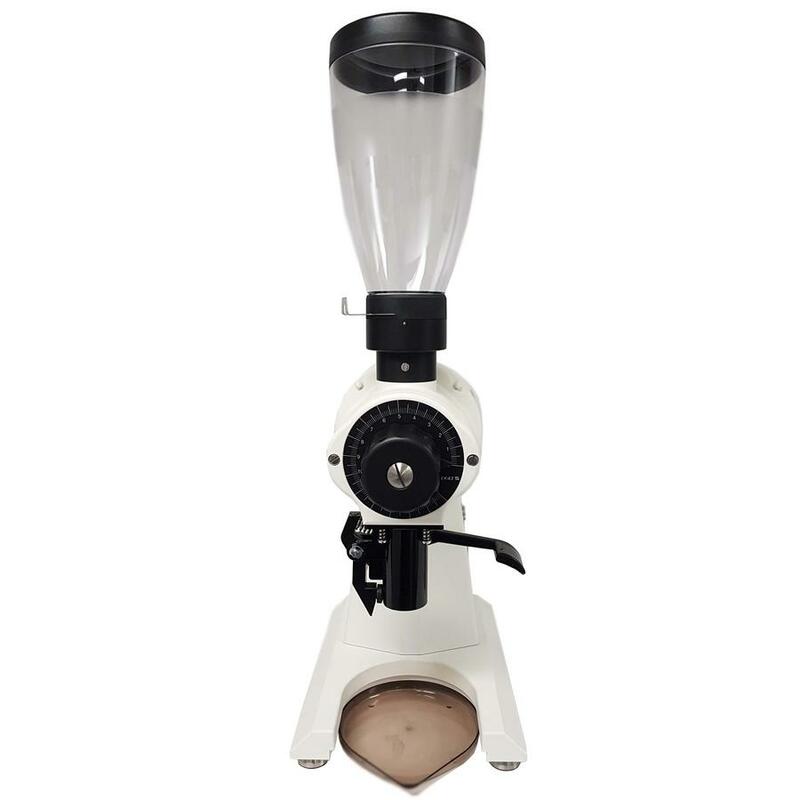 With no hopper attached, the grinder stands about 17 inches tall. Clearance under the spout and bag clamp are also reduced to about 6 inches, so a full 5 lb bulk bag will be difficult to grind into, but shaker tins, portafilters, and other small containers will have no problem. Consistency. The EK43S boasts unmatched particle distribution – that is, consistency in grind size. This means fewer fines, improved cup clarity, and the opportunity for higher extraction yields without bitterness. Versatility. 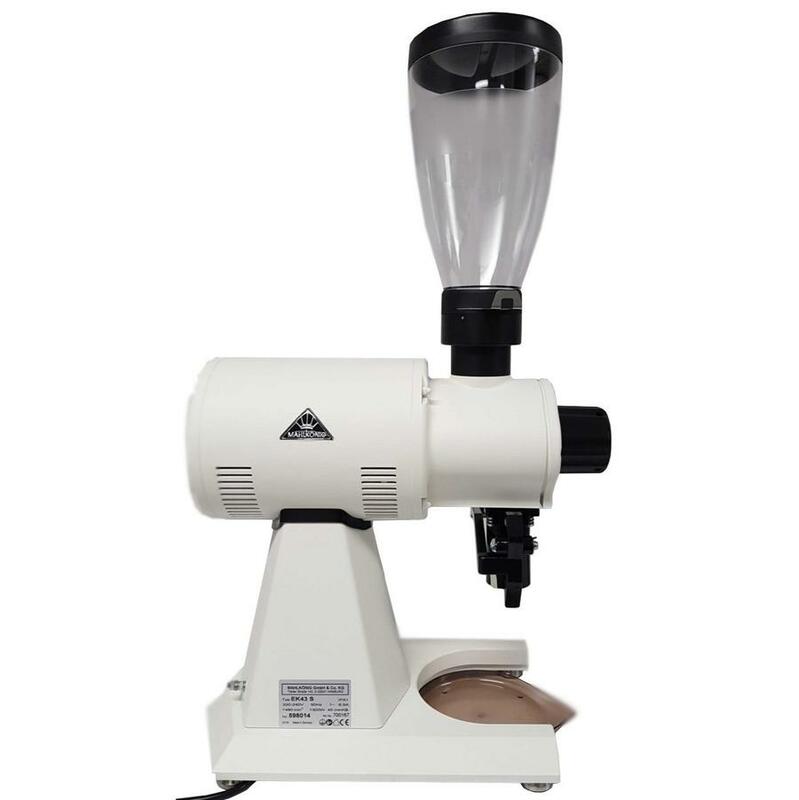 Sporting stepless adjustment over a wide range, the EK43S is suitable for all methods of coffee preparation. Switching between recipes is easy with the numbered dial and you can even grind for large batches or customers' purchases with the handy bag clamp. Power. With 98mm burrs and a motor that harnesses the power of almost two horses, the EK43S is unparalleled in performance. Your coffee will go from beans to bits at a rate of 21-25 grams-per-second, or 2.8-3.4 pounds-per-minute.